If you are fed up or having unsightly lines or wrinkles on your face and if you are looking to make yourself look younger, then you may wish to consider a Facial Rejuvenation treatment as a solution! Here at Barhill Dental Clinic, we specialise in providing facial rejuvenation treatments to help you fight the signs of ageing. 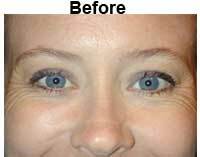 We can do this by offering a non-surgical facial rejuvenation treatment. However, when undertaking injectable cosmetic procedures such as dermal fillers and Anti-Wrinkle injections, you need to take care when choosing who treats you where and with what. You can only be sure that person who is going to inject you is suitably qualified and the premises safe when you see the IHAS Quality Assurance Mark. At Barhill Dental Clinic, you can be rest assured that our practitioners are registered to administer all injectable cosmetic treatments. Facial rejuvenation is a cosmetic procedure used by a practitioner to restore or enhance your Facial features to make you look younger. Treatments can be performed on various parts of your face, correcting crow’s feet (the wrinkles found at the sides the eyes), as well as frown lines, the sides of the nose, the neck and the upper lip. Depending on the type of treatment that you choose, the effects can last for up to three months before they start to fade. Repeating treatments can bring the results back and can actually prolong the effects meaning that over time, you’ll be able to wait longer between treatments. Anti-Wrinkle injectables and Dermal Fillers helps to delay the aging process. 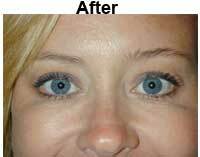 The treatment helps to reduce wrinkles and fine lines around your eyes and face. It helps to improve your skin’s elasticity, skin tone and complexion. It helps to reduce the dark spots, spider veins and uneven skin pigmentation. What is offered as part of a Facial Rejuvenation treatment? An Initial Consultation – we take the time to understand your concerns and answer any questions that you may have about having a Facial Aesthetics treatment. We only offer highly experienced Facial Aesthetics Practitioner – so you can rest assured that you are in safe, capable hands. We offer a gentle, caring approach and ensure that your level of care is personalised. We offer a detailed Facial Aesthetics treatment plan and no hidden costs so you know exactly what the full cost will be before your treatment begins. Flexible Finance is available for affordable monthly payments that fit within your budget. Having Facial Rejuvenation will help make you stay more youthful for longer, giving you more confidence and self-esteem in yourself.